With help from your dentist in Visalia, this doesn’t have to be your “every day” look. 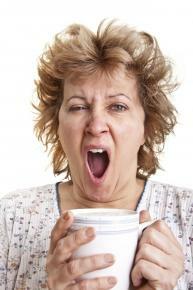 Is this how you feel, even after styling your hair and drinking your morning coffee? You know you’re not alone, but don’t know your dentist in Visalia can help. What you, and many others, may be suffering from is known as sleep apnea. The symptoms of sleep apnea include daytime fatigue, slow reaction time, and difficulty concentrating. Over 18 million Americans suffering these symptoms have been diagnosed with sleep apnea. It is estimated that another 10 million remain undiagnosed. This statistic is important because the long term effects of sleep apnea can be extremely serious and include high blood pressure, stroke, diabetes and depression. If you’ve been diagnosed with sleep apnea, you may already know all that, but don’t know what your dentist in Visalia can do you help you combat it. This message is for you. This message is also for the 10 million Americans who don’t know how sleep apnea may be affecting their lives and health. It’s for those who don’t know that their dentist can do something about it. Actually, that your dentist in Visalia knows about sleep apnea just makes sense. The problem, after all, starts with the mouth – and who knows oral care better than your dentist? Traditional treatments for sleep apnea can be expensive, obtrusive, and unnecessary. A custom made dental appliance may be all you need to set yourself right. So then, instead of trying to find a sleep specialist if you have some questions about sleep apnea or think you or a loved one might be suffering from it, consider how easy it would be to ask your skilled dentist in Visalia. Do it today. Call now to book a consultation.